Worth Unlimited Indep Agent: How Does the Savings Analysis Process Work? How Does the Savings Analysis Process Work? You may be reading this because you are thinking of having a Savings Analysis done for yourself, or because you are wondering about the best way to refer a client. Whichever the situation is, this article should make you feel comfortable about the process of the "Analysis and Demo." First... I want you to remember that ALL Worth Unlimited sales and marketing is driven by REFERRALS. It means that we have to accomplish two things... we have to make our clients HAPPY with our product once they have purchased it (see "testmonials" on the WorthUnlimited.com web site) AND we also have to make people happy and comfortable with the PROCESS of buying the program. If we fail at either one... we won't get future referrals, will we? SO... this should make you, and your client, feel confident that the whole process of the Savings Analysis appointment(s) is going to be painless, positive and comfortable.... and it IS! If you are a referral agent, you can also enter the client in the back office of your website under "PROSPECTS" and use the "ASSIGN" button to assign them to the home office and choose their appointment time. If time is not avail it will prompt you to choose another. The company will send them an email confirmation, but I also recommend you keep track of your appointments as well and call the client with a reminder the day before. Appointment times are valuable, it is considerate to the Coaches to reschedule rather than have a no show. This process is done completely over the phone and just takes a couple of minutes. On the first phone call they will ONLY set an appointment for you to talk to a Worth Coach (with your numbers). This second call should happen (they will set up an appointment for this one) while you are in front of your computer and in the privacy of your own home or office. If you have a partner/spouse, you will want them on the call (3 way?) too as this affects them as well and they'll want to be part of the conversation. Have your monthly statements for your debts/loans in front of you. It will be faster if you have circled the.... balance, interest rate & payment amount on each statement. If you have a mortgage as well... look for the: START date and the amount going to escrow, if any, also, is there PMI? NOTE: The only other info the company needs is an idea of your income (monthly average is fine) and how much true discretionary income you have left each month. They do NOT need any info that could lead to "identity theft." For instance, they will NOT ask you for social security number, any account numbers or the names of your bank or mortgage company. 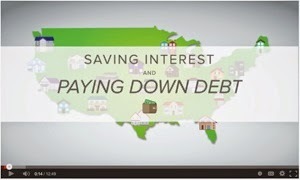 Only the "generic" debt numbers are necessary for the calculations of the Savings Analysis. Your Worth Coach will share the Savings Analysis with you and, if it shows that the program will work for you (remember it doesn't work for everyone which is why this process is necessary), then they will do a full DEMO and presentation of the program (using your own numbers), along with answering all your questions. You really only have one decision to make... either keep doing things the way you've been doing them, or, move forward and let the Worth Account help you achieve the results that it shows you you can have. If you choose to move forward and get the Worth Account at this time, they will go ahead with the activation and set up a follow up coaching appointment for you to show you how to input your numbers, and how to use even more of the product features. If you cannot, for any reason, move forward with activation at this time (for instance, you have circumstances that require you to wait), don't hesitate to ask the Worth Coach to simply set up another follow up appointment for you, for whenever it is convenient. Do keep one thing in mind though.... SAVINGS ARE TIME SENSITIVE. If you take your total amount of projected savings, and divide that by the number of months until you will be debt free... that will give you an "average" of your monthly savings. For most clients, that average is over $900 in interest savings for EVERY MONTH of program use. If yours is close to that, you'll want to ask yourself... "how many months do you want to wait to start saving?" 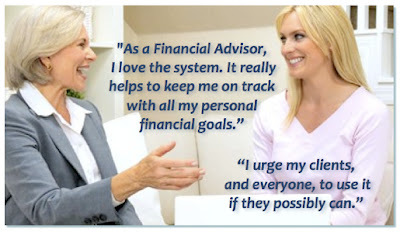 CONFIDENCE: Since 2006 we have helped over 70,000 clients with achieving their financial goals. That has resulted in an "A+" rating in the Better Business Bureau. It says that you can be confident that Worth IS focused on YOUR success. After all, the more successful you are with your debt elimination and money management using the program, the more REFERRALS the company will get.... it's a "win win" for all! With that in mind, your Worth Coaches are your "partners" in reaching your financial goals. Never hesitate to pick up the phone and call with questions, no matter how small you may consider them to be. 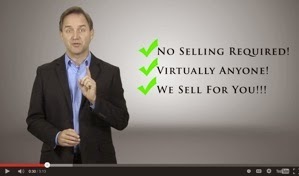 Additionally you'll find that the company will occasionally call YOU. Not because we have any other products to sell (we don't), but because we want to stay in touch to insure you are happy with the program, and are getting the results that were GUARANTEED you when you came on board. Our GUARANTEE: The Worth Account has a performance GUARANTEE that insures that, as long as you follow the program, and as long as your financial circumstances don't change drastically, that you WILL get the savings shown in the Savings Analysis, if not better. RESULTS: Our average client is saving over $120,000, is paying off ALL debt, including a 30 year mortgage, in just 7-11 years, and our typical client reports they are achieving (on average) about 20% better results than expected. Program PERKS: The program comes with UNLIMITED live coaching and support, so you are encouraged to call in as often as needed until you feel completely comfortable with the program. Also, the program comes with unlimited upgrades. As we further develop new features for the program, you're entitled to FREE upgrades of whatever level of the program you have purchased. You are also entitled to upgrade to a higher level of the program at any time by simply paying the pricing difference. For instance, you might purchase the "Gold" version for consumer debt (no mortgage), and later after you have purchased a home, upgrade to the "Platinum" version, which is designed to include a mortgage, or mortgages, in your financial picture. For Worth REFERRAL PARTNERS: As you know this is an AWARD WINNING program, we have over 70,000 clients using the program and our parent company has an "A+" rating in the Better Business Bureau. You can always have confidence your client will be treated well when you refer them to Worth. You are welcome to give your client the toll free number and your referral ID# and let them call themselves, however (procrastination being what it is) you'll have the best results if you give them more guidance by being directly involved in setting up the first appointment with them using the 3-way call approach... OR... the back office to book using the computer. You'll know what is happening every step of the way as Worth will send you email updates letting you know the status of the situation, when the clients next coaching appointment is set up for, etc. Whether you're reading this for client info, or for yourself, please know that everyone at Worth Unlimited is here to help you succeed at your financial goals. How much could YOU save using the Worth Account? Get your FREE Savings Analysis started TODAY and find out! If you want more info or have any questions about any aspect of Worth Unlimited, please feel free to call Sue Copening, Exec Director, at 407-443-0348.